Dr Laurence LeWinn is one of the world's most distinguished plastic surgeons and his skincare range is the culmination of his reputation, experience and passion for helping women reveal their inner beauty. As a testament to their quality commitment, Dr LeWinn's has been voted Australia's number 1 Premium Skincare Brand for the last 11 years in succession. 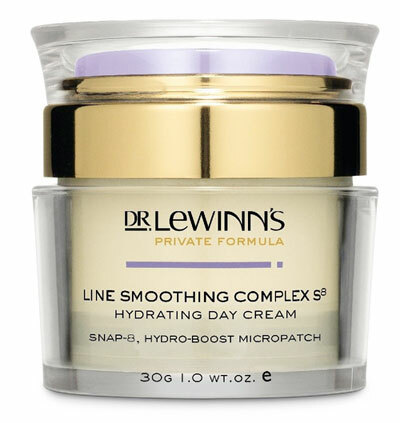 Dr LeWinn's Line Smoothing Complex S8 Hydrating Day Cream 30g (RRP $69.95) provides intense and continuous hydration and is nourishing and repairing - something that all busy mums need. The Hydro-Boost Micropatch is a unique delivery system that allows the slow release of Serine molecules throughout the day for optimal hydration and the Aqualance provides deep and penetrating hydration for up to 24 hours. Queen Bee has the wonderful opportunity of providing a free jar of Line Smoothing Complex S8 Hydrating Day Cream for the first 50 orders over $300* - only while stocks last - treat yourself today with this beautiful gift with your order!